Quality of cast product is depended not only on casting machine itself but on the quality of moulds as well. That‘s why Abadia has strong partnership with Massform GmbH, leading German producer of resin moulds. Massfrom moulds are tailor made to pass perfectly to Abadia solution and deliver outstanding quality in variety of designs crafted to customer‘s wish. 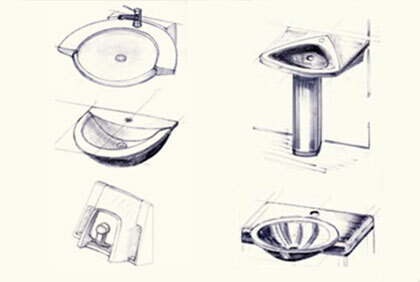 Massform resin moulds are known for its longevity, high freedom of design and shape accuracy. Massform is set near Frankfurt am Mean and produces moulds since 1981. 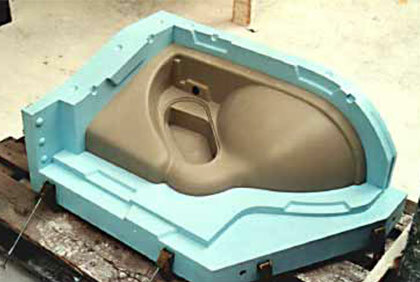 Our partnership with Massform began in 1996 and since then we have successfully delivered thousands of moulds. The development of sanitary products is a very complex process in which comprehensive information from the field of process engineering and the experience in mould design determine the final shape and design. Models in plastic or plaster form are the basis of serial production. They are used for reproduction many, same production moulds.